My son was standing in my lap, flying his “dinosaur bird” around my head in giant, erratic swoops. I was on the phone with a prospective client, trying my best not to sound like I was under attack by a prehistoric beast. Wearing the same black turtleneck I’d worn the day before (and had slept in), I balanced my play-focused two year old on my lap and tried my best to sound professional. My son’s “cawing,” and broad movements, the client’s what-we-need-is chatter, my recent separation: It was all too much. Tears rolled down my cheeks as I apologized and told the client I needed to call her back. I hung up, put my head down and sobbed. Working from home, my impending divorce, parenting alone–it was exhausting. After a few minutes of a really good cry that lasted several minutes, I looked at my son, who had been saying, “Mommy what bad?” repeatedly during the course of my mini-breakdown. I held him close, smiled and wiped away my tears. “Mommy’s just sad, buddy. I’ll be okay,” I assured him. It was true. I wasn’t okay in that moment, and I wasn’t fully okay for a long time. But once I was able to acknowledge I needed some changes to survive as a business owner and a mom, I was okay enough to get through that day. Soon after, I sat down and thought about my life. There were a few things I couldn’t control, but there were a few things I could that would help me be a better parent and business owner. If you’ve ever felt out of control and exhausted while running a business and being a parent, these four tips are for you. 1. Take an honest look at your day. How are you managing your time? If you are trying to focus and work during the times your child is awake and demanding attention, you will rarely feel like you are accomplishing anything. Identify times when you should be actively engaging and playing, and identify the times when you will be able to make and receive phone calls, return emails, and be productive with your work. Instead of believing you can do it all, be honest about the times when you can work and when you cannot. 2. Set a schedule that works for you. Everyone has office hours. Set yours. There may be times you can be flexible, but if you know the hours you will dedicate to your job, you will be prepared to work. If you need to, hire a babysitter during those hours or seek some kind of daycare for your child. If you aren’t in a position to hire help, partner with another parent to set some play dates, or ask a family member to help. When you work from home there is a tendency to put your work on the back burner. Remember your work gives you both purpose and a financial return. Treat your work like a business not a hobby. 3. Take a break. Don’t forget that during the day, you need a break. Whether it’s an hour of play time, time to nap or shower, or time to catch up on some reading, take the break. When you return to your work, you will be able to better focus and get things done. 4. Enjoy your job. You chose to work at home because it would bring you happiness. You wanted to become an entrepreneur to experience freedom. Even though you may be working harder and longer hours than you would at an office, you chose this way of working to be able to enjoy your life. Don’t forget the benefits when the struggle becomes a little too real. 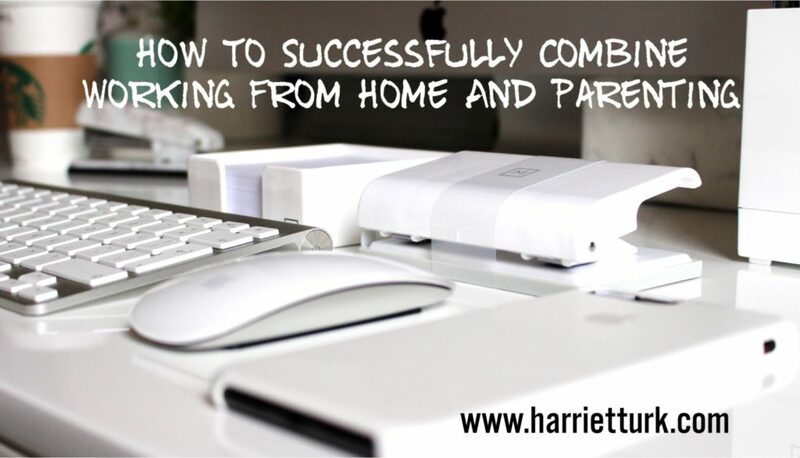 Combining working from home or owning a business combined with the responsibilities of parenting can be overwhelming. Don’t lose sight of the benefits. Get help with the struggles. And remember, even though there are times when you question your life, you will be okay. ← What To Do When You Can’t Handle Life!